Prominent & Leading Manufacturer from Indore, we offer lemon rice mix. 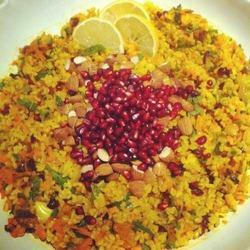 We have with us delicious Lemon Rice Mix, which is a famous south Indian dish. This lemon rice mix is prepared from a perfect blend of accurate quality spices and other related ingredients. Further, lemon juices added to this dish gives a tangy and refreshing flavor to the taste buds. We offer this range in optimum quality packaging material to retain its original characteristics and taste for a longer period of time. Looking for Lemon Rice Mix ?